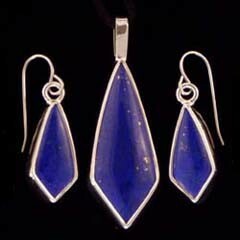 WoodnoteSaberwing Designs International is a gemstone and jewelry design studio located in Creston, British Columbia. Handcut gemstones are their specialty. These lustrous gems are featured in handcrafted sterling silver and gold pendants, rings, earrings, cufflinks and body jewelry. 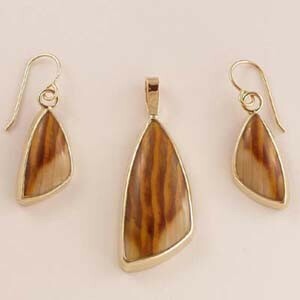 WoodnoteSaberwing jewerly celebrates the wonders of natural gemstones and they specialize in unique and one-of-a-kind gemstone shapes. Each piece of jewelry comes with information about the gemstone's specific metaphysical attributes. Gems from British Columbia, like Rhodonite and Jade are frequently chosen by the artists who turn them into stunning pieces of wearable art. 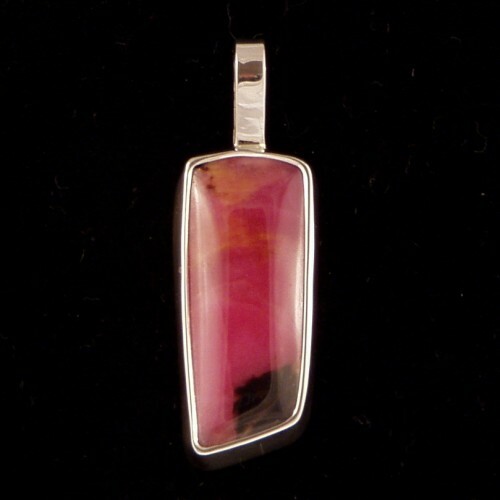 Rhodonite soothes the nervous system. Wearing this stone next to your body promotes relaxation and creates a sense of well-being. It can bring balance to personal relationships, strengthen friendships, and help to resolve conflicts. Rhodonite enables forgiveness, and liberates the wearer from mental pain, anger, and annoyance. This positive gemstone is like a beacon that can show you the way out of a seemingly hopeless situation. 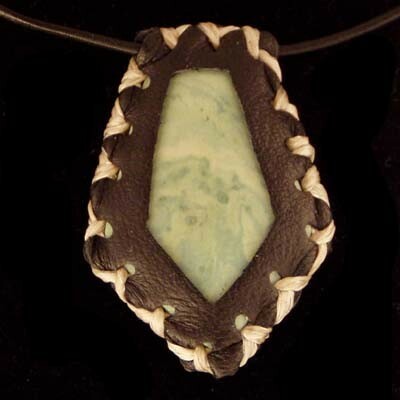 Their online jewelry store (www.woodnotesaberwing.com) is a super place to shop for great gift ideas like geniune Mammoth Tusk jewelry and unique gemstone and leather pendants. The thoughtful and conscious person you are shopping for will be glad to know their gift came from WoodnoteSaberwing. Each piece of WoodnoteSaberwing jewelry is made by hand in Canada. You can be assured that this jewelry was not made by exploited labourers and was created in a safe working environment with fair wages. Along with gemstone jewelry, WoodnoteSaberwing Designs also creates pieces of functional gemstone art like these gorgeous handcrafted walking sticks. This stick features a Jade gemstone top. Jade has been valued as a good luck charm for centuries. 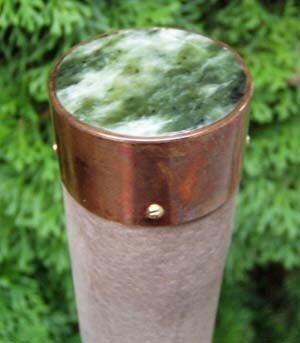 Jade is also a traditional charm for gardeners. When Jade is buried at the corners of the garden it is thought to ensure bountiful harvests. To the ancient Chinese, Jade represented courage, wisdom, mercy, justice, fidelity, and a host of other good qualities. Jade is a powerful balancer of emotions and it radiates divine, unconditional love.